IQS Directory provides an extensive list of portable workbench manufacturers and suppliers. Utilize our website to review and source portable workbench manufactures with our easy-to-use features which allow you to locate portable workbenches companies that will design, engineer, and manufacturer portable workbenches for your exact specifications. Our request for quote forms make it easy to connect with leading portable workbench manufacturers. View company profiles, website links, locations, phone number, product videos, customer reviews, product specific news articles and other production information. We are a leading manufacturer directory who will connect you with the right manufacturers whether you are looking for portable work table, mobile workstations, or accessible workstations. Are you in need of a portable solution for your workspace? Our sophisticated portable workbenches are ideal for those who need adjustable equipment. These systems are designed with the best ergonomic features available. Our workbenches are more than just accessories they are work zones that result in high productivity. 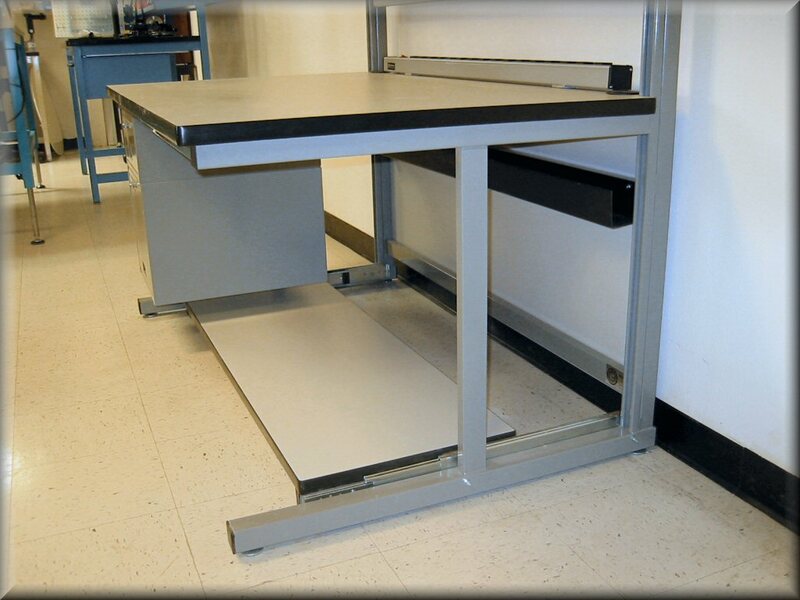 We can easily customize any workbench and these units are easily to assemble. Contact us today to learn more! RDM Industrial Products Inc utilizes the most innovating manufacturing techniques to deliver the best products to our customers. We have over 30 years of expertise and we offer convenient options to increase our clients’ workspace performance. These portable workbenches can be equipped with monitor holders, overhead lamps, storage bin panels, tilting tops, tool trolleys, foot rests and more. Contact us today to receive a fast quote! Regardless of your industry we have a workbench that can improve your workspace. Our portable workbenches are highly efficient and there are several benefits when picking our systems. Our workbenches are extremely flexible and can be custom designed with specific accessories. Our ergonomics will not only enhance worker performance but will also keep your work zones safe. We are an industry leader that can bring you the best portable workbenches. Contact us today! BenchPro, Inc.&trade; manufactures complete line of America's finest workbench; everything from economy to premium designs for military, aerospace,cleanroom laboratory, universities, and electronic assembly. Select from ESD / Static Control, Stainless Steel, Chemical Resistant Phenolic Resin, Butcher Block, Class 1 – 100 Cleanroom ESD workbenches & Custom Cart. GE, Apple, SpaceX, Motorola, Intel, D.O.D., U.S. Army, and 1000s more buy our workbench direct. WE MANUFACTURE AND SELL DIRECT. Sovella is a leading provider of innovative, quality portable workbenches. Their adaptable solutions include packing benches, heavy duty work benches, carts/trolleys, shelving, cabinets, drawer units, ESD stations, material flow systems utilizing manual conveyor systems, storage bins, small parts organizers and much, much more. Contact Sovella today or check out their comprehensive website. While stationary workstations are often formatted to one specific job, portable options must remain more fluid in their configuration as they may be used for multiple tasks. For this reason many of these units are not only portable, but modular workstations as well with the ability to be adjusted in several manners such as height, storage capabilities and power supply in the case of electronics. Length, width, load capacity and surface type are additional features that may be adjustable on some models. Also referred to as multi-purpose workbenches, these workstations are used in virtually every industry including medical, electronics, food and chemical processing, woodworking and metalworking. Manufacturing plants, warehouses, assembly lines, clean rooms and hospitals make use of these often compact pieces of equipment for tasks ranging from electronics repair to simply sharing a computer between workspaces. There are two main types of portable workbenches, those with casters or wheels and those that fold or collapse. Casters and wheels attached to the base or legs of a mobile workstation allows that station to be easily slid from one area to the next without disrupting the state of the work in progress on the desk or the order of equipment. Rolling benches, however, cannot be easily transported over rough terrain or stairs. Folding or collapsible workbenches are built with hinges and removable apparatus that allow the sturdy structure to be slightly disassembled in order to move it. While these can be transferred across any surface since they are carried, the tools and supplies must be carefully stowed to avoid damage. Additionally, these folded workstations must be made of light materials as heavy stations would be very difficult to move. Though some steel, hardwood or aluminum may be used as support or framing, common materials needed for portability include polymers, plastics, plywood and melamine. Rolling workbenches are often made of these same light-weight materials, though they have the option of heavier elements as they need not be lifted. Metal and plastic components are formed through extrusion, die-cutting, injection molding and other such processes while wooden elements are sawed and sanded. The many components are nailed, bolted, screwed, and welded together with hinges and casters carefully placed to ensure the ease of transport. Portable Workbenches - RDM Industrial Products, Inc.